Where will you work and stay? - Where will you work and stay? 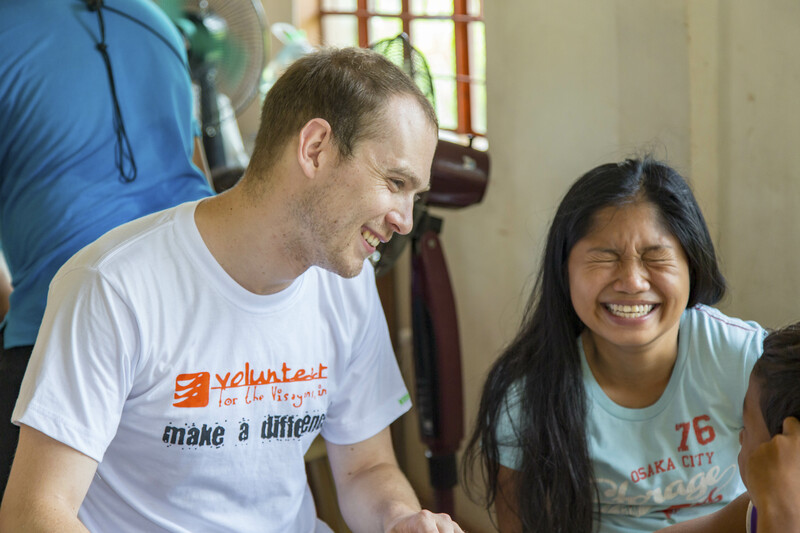 Four doctors from the United Kingdom volunteered in the Leyte area working in clinics and even leading the annual health clinic events at the Volunteer for the Visayans (VFV) centers. 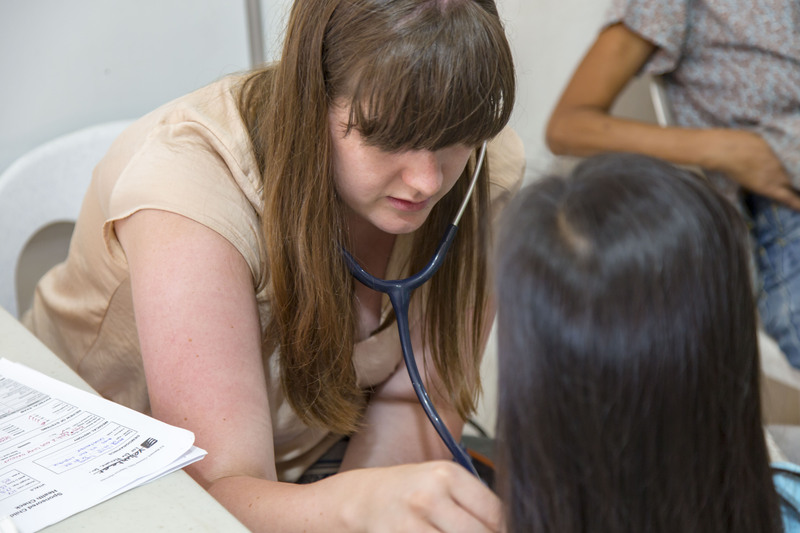 Alex Moss, Lloyd Halsey, Molly Stewart and Sachin Sharma worked together to give general health check ups to children around the area. 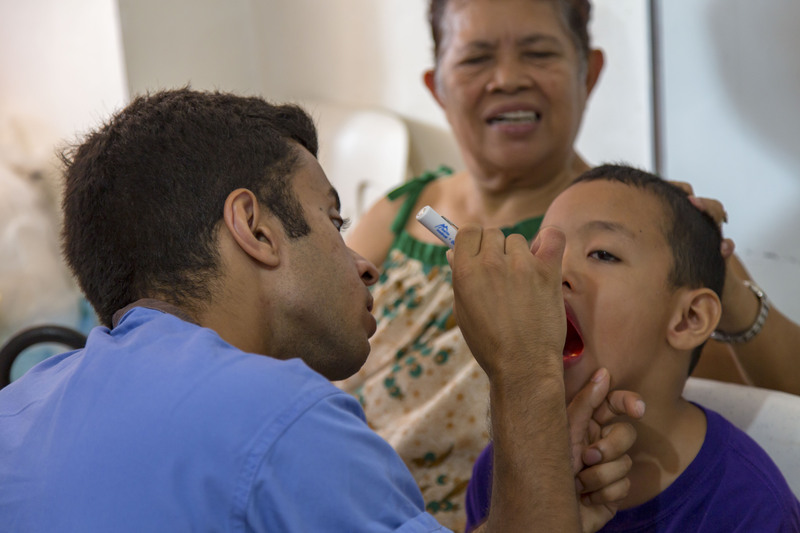 The doctors checked each child’s dental and physical health, as well as giving the children advice on how to improve on their personal hygiene. 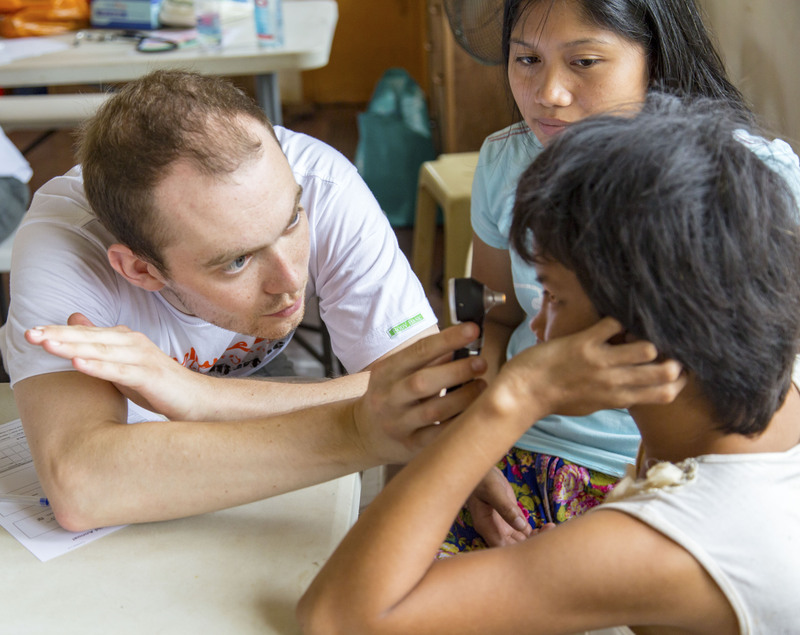 During the check-ups, the doctors had to improvise with cellphone flash lights, yoga mats for a quick physical and visual aids around the room for vision tests. 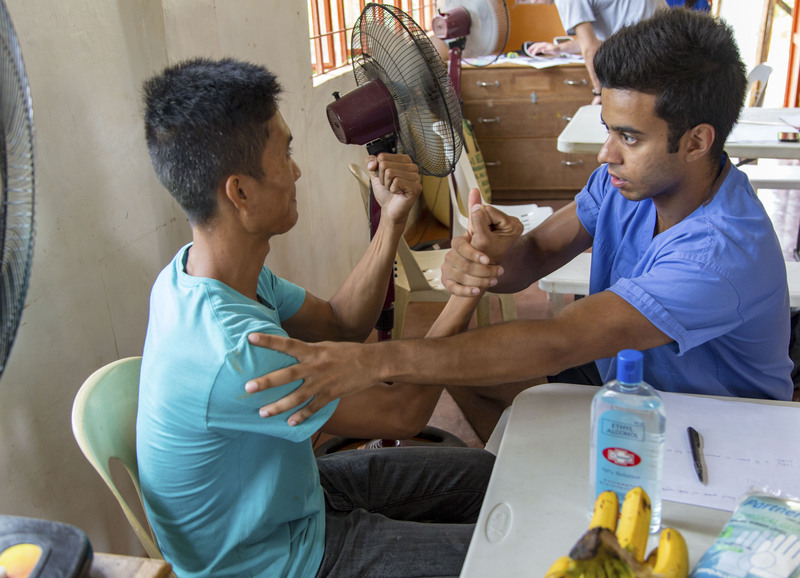 Sachin Sharma tests the physical strength of one of the translators for his check up after helping with the children. A problem that popped up for the doctors were the lack of resources for the families of the children. Being unable to prescribe them the types of medicine they were used to, they had to think of similar over-the-counter substitutes. 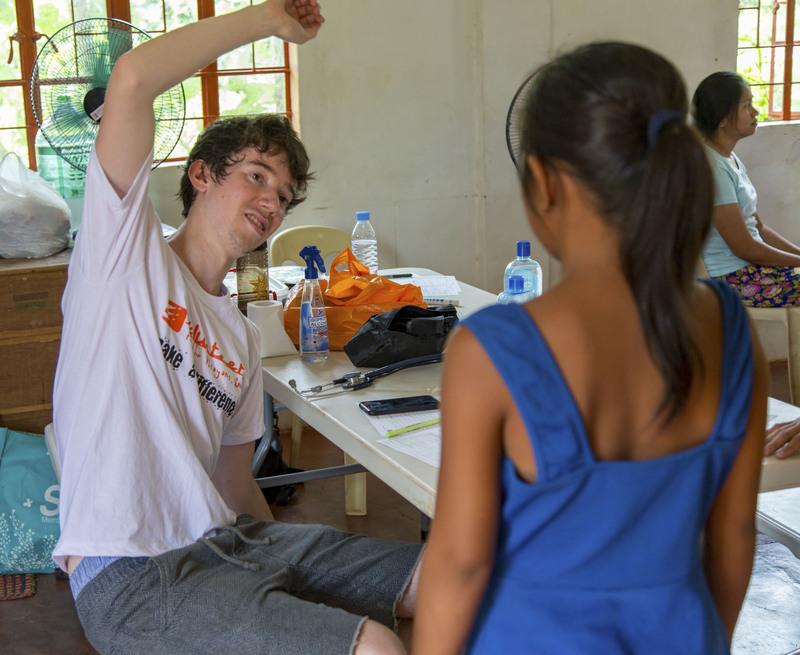 Alex Moss demonstrates a stretching action for one of the children to follow while he checks her physical status during the annual health clinic in the dumpsite center. 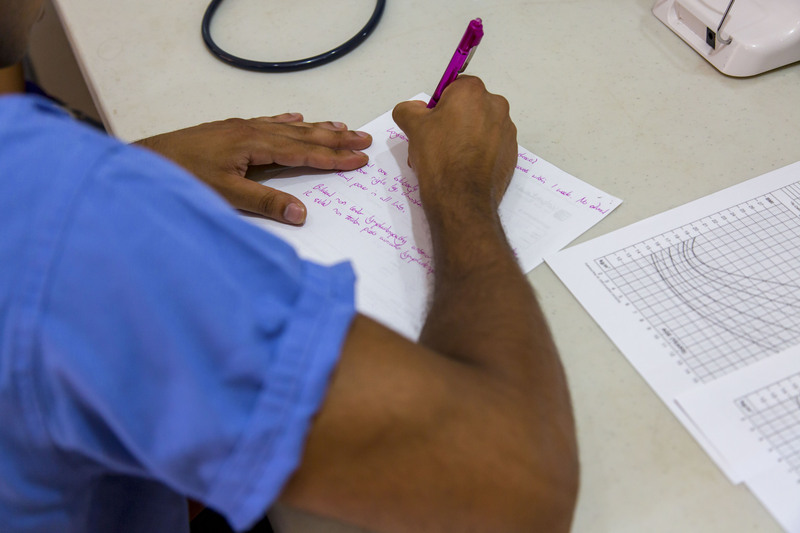 He said it was hard to prescribe the children with drugs due to the limited options so the consultations were great practice for the overall summary they had to give the children. To the doctors, it was different to see some of the health statuses of the children because the conditions are different than the UK. 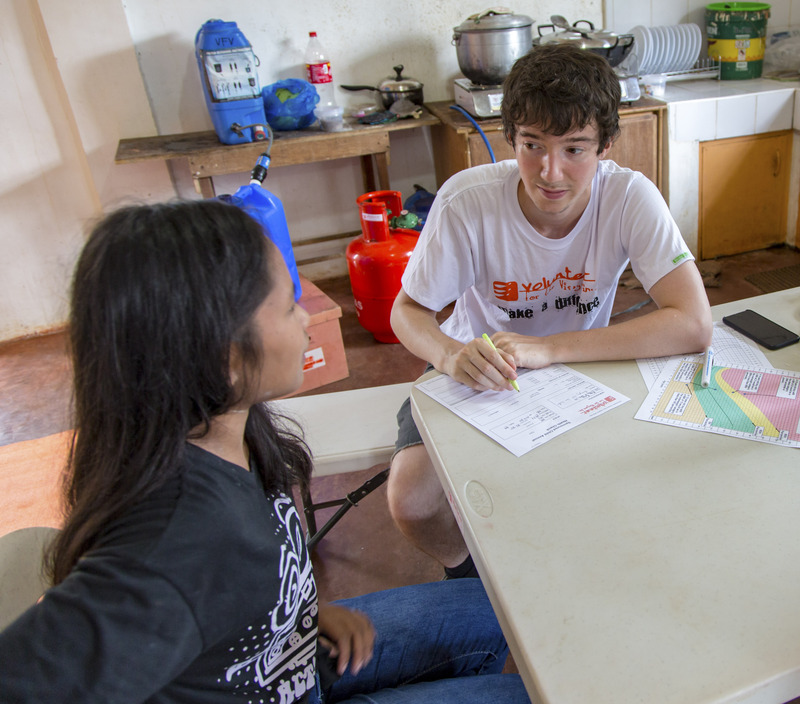 He said it was interesting to work with children on improving their habits instead of treating usual health problems. 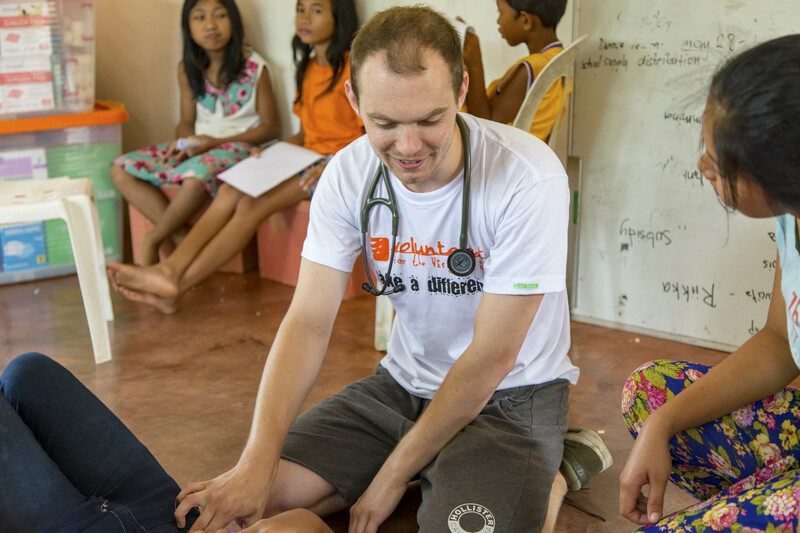 With the job of facilitating the clinic, the doctors were assisted by Ohio State University pre-medical student Chris Mark. 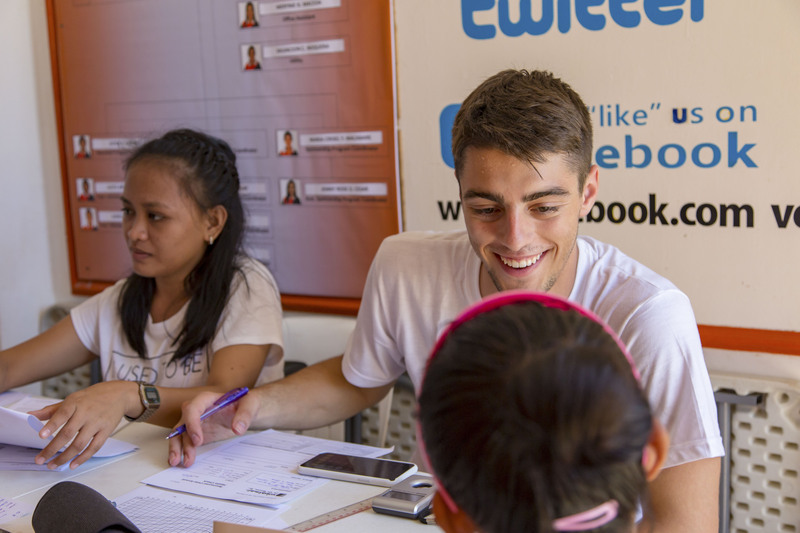 Chris Mark smiles as he checks in one of the children for their check up at the Bliss Volunteer Center. 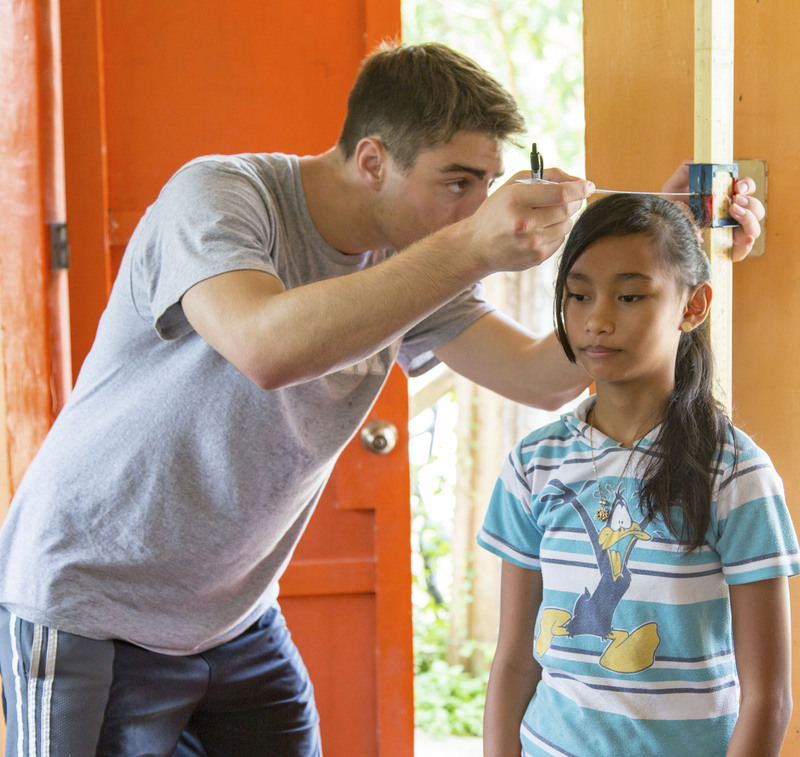 Mark checked the children in by taking their general information like height, weight and blood pressure. 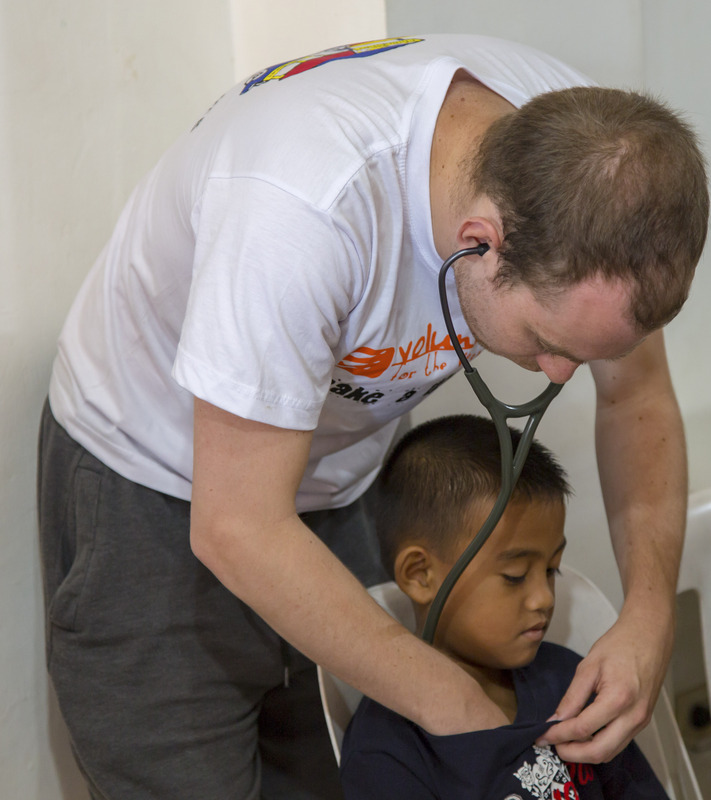 Mark was able to observe the doctors with their consultations as well as received experience in filling out the children’s charts, with a doctor directly overseeing him. 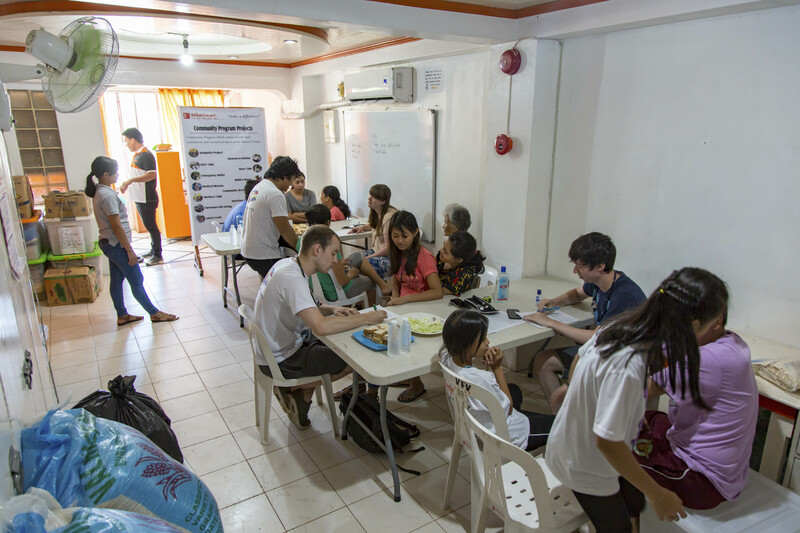 After the clinics, the doctors said the experience will help them with their practices in the future. “Although it’s such a different system, the experience can help me think of other ways to tackle a problem,” Moss said. 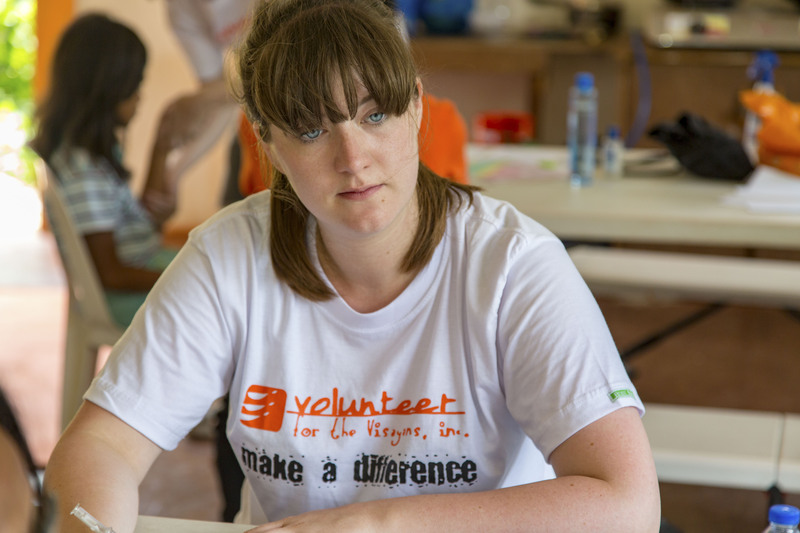 For more information on a medical placement please visit the volunteer information page. A successful Medical Project, the best yet!